A mockup of the ISEAUTO, designed at Tallinn Technical University in Estonia. Tallinn Technical University’s ISEAUTO uses open source software. For students learning about driverless cars, it’s a good fit. “In the U.S, most the AVs are being built by private entities and you don’t have easy access to the inner workings of the vehicle,” said Rahul Razdan, who oversees special projects at Florida Poly. At about 11 feet long and five feet wide, ISEAUTO looks like a small tram. With standing room for about four passengers, Razdan said it could be a shuttle for transit riders on the last mile of their journey. “That’s likely where this technology will become, as it were, real well before the car that takes you everywhere just by saying something,” he said. Florida Polytechnic is already working with Jacksonville’s transit agency to test driverless transit vehicles. The university’s Autonomous Mobility Institute focuses on making driverless cars safer. “You really want to get insights into what the car is seeing, how it sees it, how it perceives the environment. And that’s what makes the research collaboration here quite complementary,” Razdan said. Self-driving cars – are they the road to the future or pie in the sky? This week on Florida Matters we’re talking about the promise and the perils of automated vehicles. 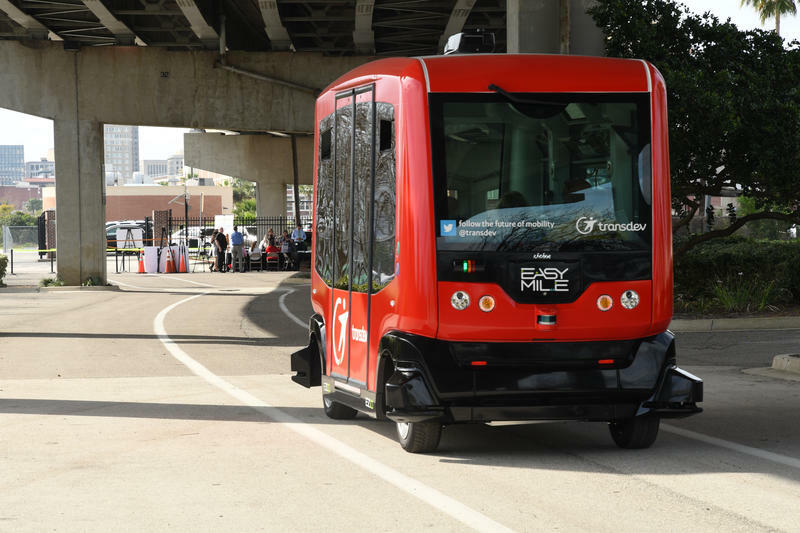 House and Senate Republicans are proposing the creation of a “Statewide Alternative Transportation Authority” that would oversee developing transportation systems for such things as autonomous vehicles.